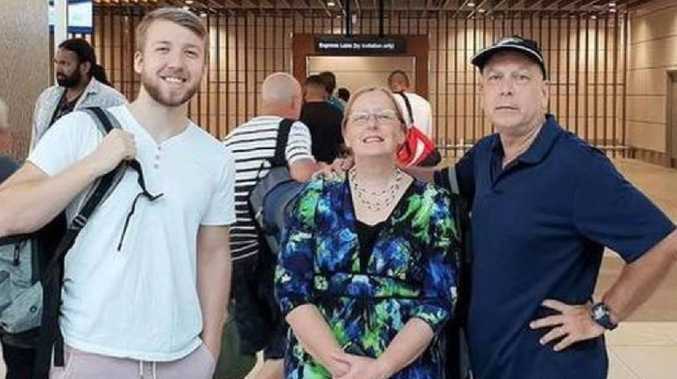 AN AUCKLAND man has died after attempting to climb Africa's highest mountain with his 23-year-old son. 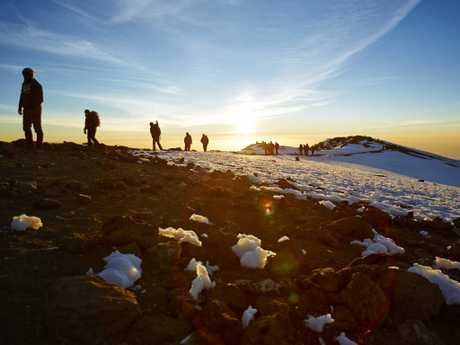 Brett Clark journeyed with his son Byron, 23, to climb Mt Kilimanjaro in Tanzania that boasts an elevation of 5895m. 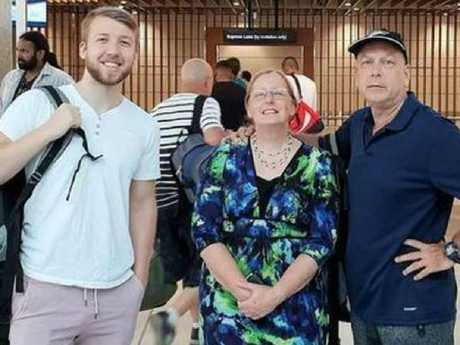 However, Brett was admitted to Kilimanjaro Christian Medical Centre after he became stricken by altitude sickness climbing the mountain, the New Zealand Herald reports. Before Brett passed away he was able to send one text message to Byron. "I love you son, and tell Lisa I love her too," it said. Brett's wife of 20 years, Lisa Clark, was crushed after receiving a phone call from his doctor on Friday evening to inform her Brett had died. "It's unreal, it's devastating. When he arrived his oxygen stats were so low … he turned into pulmonary oedema where he was getting no oxygen," she told the Herald. "He went into a cardiac arrhythmia but at first it looked like he was getting better. 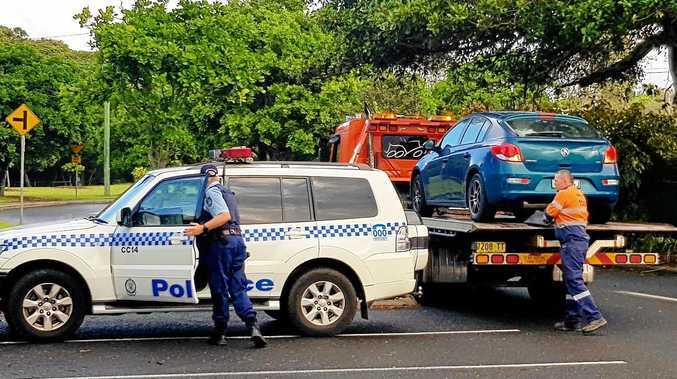 "It was about 4pm (on February 7, local time) when he got into big trouble, at 6pm he coded and at 7.30pm they couldn't do anymore." She, Brett and Byron had climbed other mountains in the past including New Zealand's Mt Egmont three times. Mt Kilimanjaro had been a dream of Brett's for more than 20 years, Lisa said, one that takes nine days - six to climb and three to decline. On their way to the summit, the 57-year-old became ill at 3000m but Brett told his son to continue while he waited there. However, by the time Byron had reached the top and begun to climb down, Brett had been removed from the mountain and taken to the hospital where he later died. Brett met his second wife Lisa in 1998 through an ancient history website when she was based in her hometown of Boston, Massachusetts. The pair were both writing about Roman history when they connected, corresponding for a year before Lisa moved to New Zealand in October 1999. Brett was in the process of finishing his master's degree at the University of Auckland after completing a bachelor of arts with first class honours in ancient history. 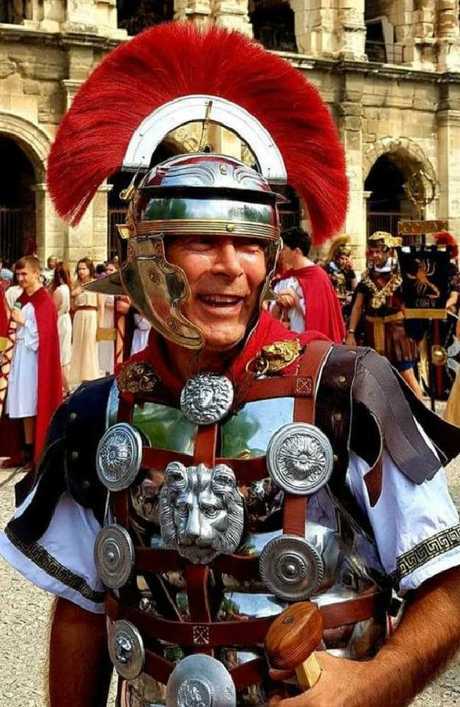 He was the club captain of Imperium-Romana, a New Zealand organisation devoted to re-enacting Roman living history displays. "We were both very active (with the group) and we did a lot, we did a lot of parades and did the Armistice in Cambridge every year," Lisa said. Mt Kilimanjaro is the highest mountain in Africa. "We've got a shed where we store 20 shields, four tents and four ballistas (catapults). "He was so into this and always making gear. He was right into the whole archaeological experimentation." An obituary said Brett was the son of Annette and Philip, the wife of Lisa, and the "loved father" of Byron and Conrad Clark, 21. At his funeral, Brett would have a full honour guard with mourners dressed in classic Roman outfits with the whole works, Lisa said. "We did a whole lot of re-enactments here and overseas, he'll be so missed," she said. "He was bloody brilliant. He had a great sense of humour, and he really put himself out there for everybody. "Everywhere he went, even when people met him for the first time, people would just think 'what a great guy'."